The death of slain MIT campus police officer Sean Collier is just another example of just how precious every moment of every day is. He died at the hands of terrorists Tamerlan and Dzhokhar Tsarnaev, as they sought to flee Boston for Manhattan, no doubt in search of more opportunities to maim and kill Americans. Vice President Joseph R. Biden had some choice words for Tamerlan and Dzhokhar Tsarnaev, calling them “perverted jihadis” while speaking at a memorial service for slain MIT police officer Sean Collier Wednesday afternoon. “Why, whether it’s al Qaeda central out of the FATAs or two twisted, perverted, cowardly, knock-off jihadis here in Boston. Why do they do what they do?” he asked rhetorically. Four dead. Over 170 injured, many with amputated limbs. An entire city locked down for hours. American citizens pulled from their homes at gunpoint. Main roads deserted, like something you might find in North Korea. Question: At what point do “knock-off jihadis” become “real jihadis”? 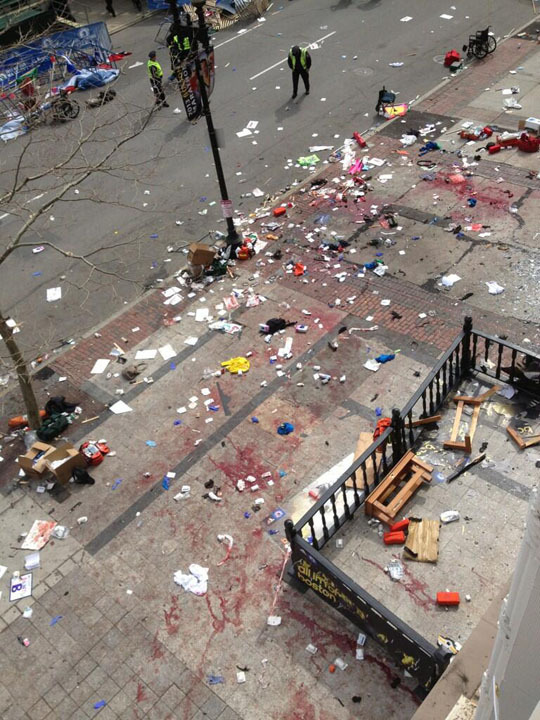 Does a platoon of al Qaeda foot soldiers have to be charging into downtown Boston, guns blazing? Are they “knock-off jihadis” until they bring down large airliners in heavily populated cities using nothing but box cutters? The answer is that they are not knock-offs because they are cut from the same cloth. 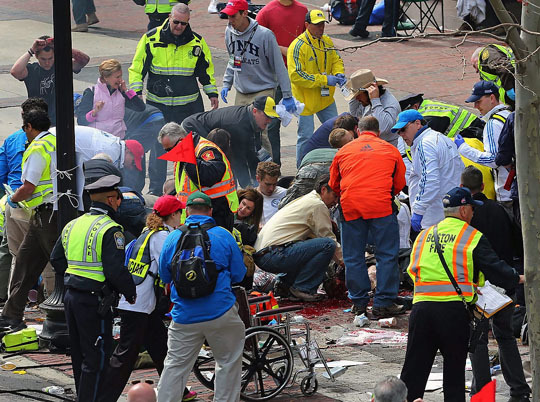 Russian authorities warned the U.S. about Tsarnaev years ago. They told us this was most likely no “knock off” and, for whatever reason, Tsarnaev was interviewed and left to his own devices. We’re also told that “spelling errors” prevented the U.S. from realizing the guy spent six months (spending time with good old dad, I’m sure) in Russia. McCain has also voiced concern about a lack of coordination among law enforcement agencies, a problem that plagued authorities before the Sept. 11, 2001, attacks. I said years ago that the Department of Homeland Security was unnecessary. I still believe that. An entirely new department lumped onto the federal bureaucracy. Hundreds-of-billions of dollars spent. And yet, authorities still can not coordinate with each other, even though the whole rationale for creating the monstrosity was to improve coordination between agencies. The government gets bigger and bigger and bigger and spends more and more and more and yet … it is never is enough, is it? This is the same administration that became infamous for calling terrorism a “man-caused disaster” in order to convince themselves that we could move on to bigger and better things (e.g., NIH obesity studies to figure out why lesbians tend to be fat and gay men do not). Listen to Joe Biden. He usually will tell the truth, even if he’s doing so inadvertently. What was the saying? “Bin Laden is dead and GM is alive”? Yeah. Unfortunately, the scope of the problem was always a lot bigger than one man or a well-known terrorist organization. But when you ideologically side with people who hope terrorism is caused by white Americans, you tend to get blinded by things like that. Apparently both brothers were on a CIA watchlist as early as 2011.